A sweeping driveway surrounded by 22 acres of magnificent rural Hertfordshire parkland, brings you to a charming Queen Anne Mansion House. 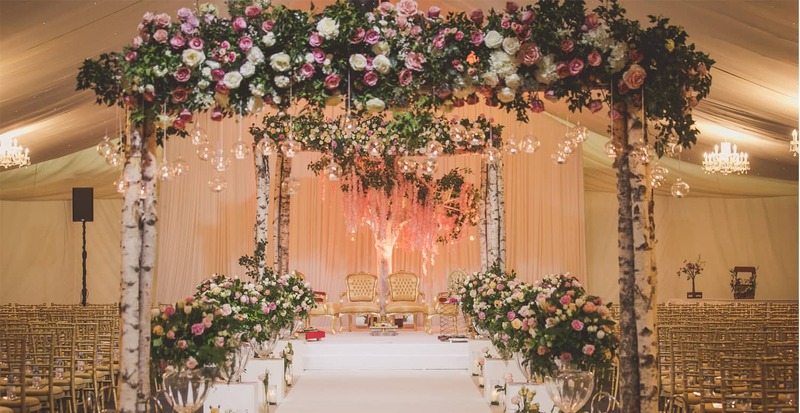 With its classic Georgian proportions, tall white columns, and impressive marquee, Hunton Park, Hertfordshire, offers style and elegance – the perfect setting for your wedding. Over its 190 year history the house has played host to a number of colourful landowners, lords and ladies and was chosen as the location for the 1970 romantic film, Raging Moon. The house can now be the backdrop for your special day. Today, Hunton Park, Hertfordshire offers much more than breath-taking beauty and historic grandeur. We know it’s the little details that make all the difference, so our dedicated team will help plan everything to your requirements. Please note we want to ensure you have plenty of time to see the property and discuss your plans, so all viewings are by appointment only.